Your security is top of mind, always. We take the privacy and security of your information very seriously. 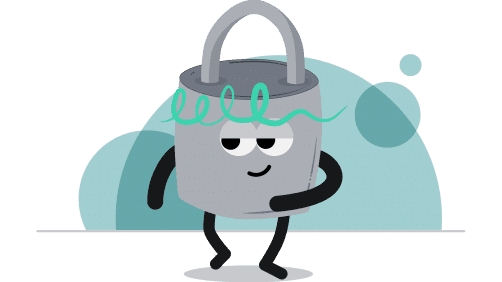 In fact, Qwill safeguards your data against theft and unauthorized access with multi-factor authentication and multiple layers of encryption. 1. It’s your data, not ours. Period. You own the contents of your Qwill account. We will not share or sell your data. The only people that will see your information when your estate is distributed are those individuals that you authorize in your account. 2. Qwill employees cannot see your data. Qwill employees cannot access your legal documents or captured memories, other than account recovery specialists (with your permission). No Qwill employee will ever have access to the contents of your securely encrypted Vault, period. 3. We protect against security threats. Our app protects your data with both multi-factor authentication (MFA), and strong encryption both at rest and in transit. See below for the specific steps we take to secure your data, and contact us if you have any additional questions. Who can access my data? How does Qwill protect my data at rest? How does Qwill protect my data in transit? What can I do to keep my data safer? Qwill is built with both privacy and control in mind, and works seamlessly when your executor is aware that your estate plan is in the cloud; however, your data, accounts, and preferences are kept private to you and not shared with the individuals you authorize (executors, beneficiaries, etc) until it’s time to distribute your estate. Legal documents: Print and store hard copies in a safe place. Captures: Your memories will be made available to your executor when it’s time to distribute your estate. Vault: Your information is encrypted and can only be unlocked with your Vault Key by your executor when it’s time to distribute your estate. Qwill uses SSL/TSL encryption and is built on top of Amazon Web Services (AWS), which maintains ISO 27001 and SAS70 Type II certification for its infrastructure, and has years of experience managing and securing large-scale data centers. More information about AWS security protections can be found at http://aws.amazon.com/security/. The important takeaway is that Qwill encrypts all of your data, both at rest and in transit. Your Vault items have an additional layer of encryption to help ensure that nobody, not even Qwill employees, can access your information. Distribution control is always in your hands. Qwill has a multi-step verification process for your named executor (or other individuals you have authorized) to request access to your data. This process includes first providing a copy of your certified death certificate, as well as a photo ID that matches their credentials. Once verified, your executor will use your Vault encryption key to unlock your private account and instructions. Additionally, there are several user-controlled safeguards in place to ensure strong security while maintaining prompt access. To learn more about our distribution process when executing an estate, please visit our Distribution page. Your Data, Not Ours. Period. All of the information (e.g. personal information, photos, videos, documents, etc.) that you upload and store on your Qwill account is your content. We don’t claim ownership over your content, nor do we control, verify, or endorse the content that you or others put in or share through our services. You can read more about content ownership within our Terms of Service. You can also rest assured knowing that you can take your content with you, or have us delete it for you at any time. Easily export the content and legal documents stored in your account by emailing us here at support@qwill.io.